The Unfortunate Tale of the Museum of Practical Geology Pt I. In 1838 the Museum of Practical Geology was founded in Craig’s Court, Whitehall at the behest of Sir Henry de la Beche, recent founder of the Geological Survey. Within the space of two years, the rooms in Craig’s Court proved insufficient to house the rapidly expanding collections. New premises were required. This was unlucky for the residents of Derby Court. A small, poor, residential street opening onto the unfashionable end of Jermyn Street, St. James’s, London. Sir Henry had his eye on it for his new museum. Within the space of five years, a private Act of Parliament was passed purchasing the land that Derby Court sat on for the New Museum. By 1845 the tenants were out on their ears, and Derby Court was no more. Work started on the Museum. It took six years to build. Part of the reason why may be found in John Snow’s famous report on the cholera outbreak in Soho in 1854. He mentions that during the construction of the Museum, no fewer than 32 hidden cesspools of some vintage, previously located in the vaults and cellars of the properties around Derby Court had to be excavated before work on the museum could be commenced. Not ideal foundations. Exactly what this new building was intended for was a mystery to many, with the press reporting it was intended as a Post Office, whilst the Commissioners of Works who were in charge of the construction, received several applications for the tenancy of shops in the building. James Pennethorne was the architect, the man later responsible for suggesting to the Government that Burlington House would make a rather nice abode for several scientific societies that were at the time crammed into Somerset House. Grand bronze doors for the main entrance were commissioned from Alfred Stevens, sculptor of note, but owing to the artist’s “procrastinating love of perfection” they were never completed. Inside, a large double staircase rose to a U-shaped first floor exhibition hall with not one but two galleries rising up the sides of the building. Every wall was covered, floor to ceiling, with display cases. A magnificent array of specimens filled the cabinets, open to the viewing public for their delight, education and betterment. On the ground floor was the large lecture theatre and meeting room. In the basement, previously occupied by the cesspools of Derby Court, were the offices, laboratories and library. On the 12th May 1851 the Museum of Practical Geology was opened by Albert, the Prince Consort with the Geological Survey, the Royal School of Mines and the Mining Records Office moving in to occupy the offices in the building. The spotlight was a little off the new Museum at the time. 11 days previously, Albert and his Queen had opened an even more magnificent spectacle just down Piccadilly in the Grand Shalimar erected on Hyde Park. The Great Exhibition of 1851 in the Crystal Palace drew six million in six months. 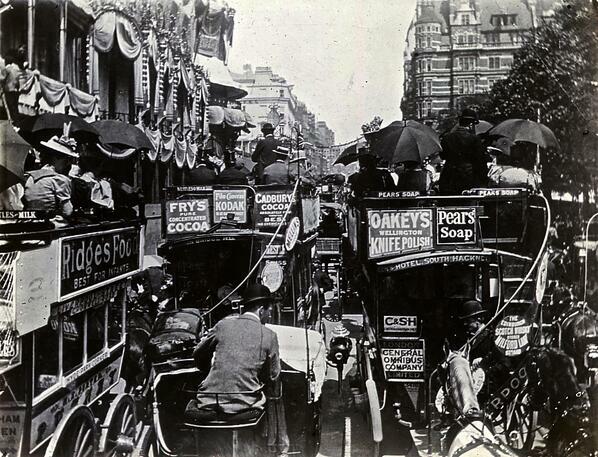 Many visitors to the exhibition may have been stuck in horse-drawn omnibus in the gridlock outside the Museum. There is no record of visitor numbers for the Museum. In 1855, the Museum was already running out of space. Again. The laboratories and teaching staff of the Royal School of Mines had to be moved out to Exhibition Road in South Kensington in 1855. There they settled with the Royal College of Chemistry, becoming the Royal College of Science and then Imperial College some time later. The profits of the Great Exhibition allowed the development of Exhibition Road into an area for learning and education. The Natural History Museum, the Science Museum and the Victoria and Albert Museum were all built along there in the second half on the 19th century, leaving the poor Museum of Practical Geology all on its own, stuffed to the rafters and at the unfashionable end of Jermyn Street. What was to become of this unpropitious building? Tags: fossils, geology, history, London, Museum of Practical Geology, Natural History Museum, palaeontology. Bookmark the permalink. Previous post ← Earth Science Week photography competition – the results!